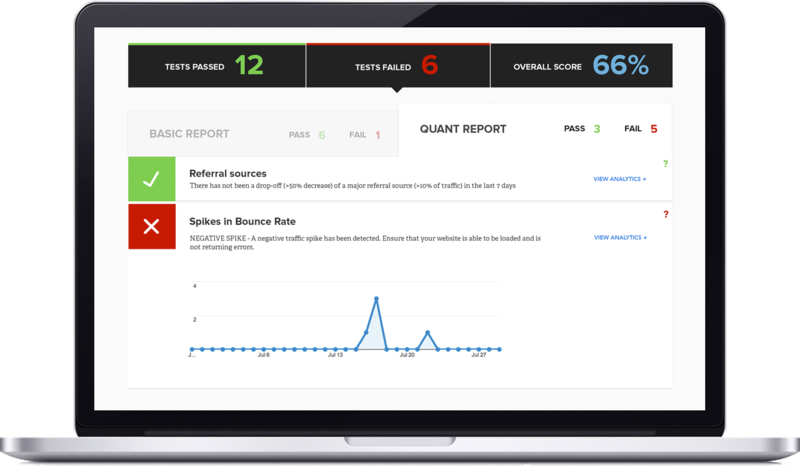 Our tests are completed in seconds, utilising Google's official Analytics API. We use standard GA cookies. We don't store your data nor do we share it with any third party.